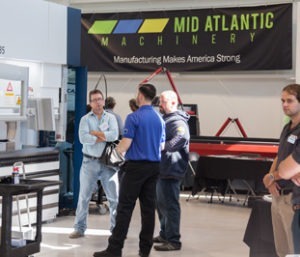 At Mid Atlantic Machinery, we’ve been serving fabricators, manufacturers and related businesses with the latest in fabrication and machine tool technology for over 25 years. From our base in Harrisburg, PA, we represent top equipment brands throughout the Mid Atlantic region and New England. From Maryland to Maine, we’re a one-call resource for the latest fabrication technology. Our team has experience with a wide array of technology across a range of industries, and so from small job shops to international technology brands, we know how to help you leverage the latest equipment technology to strengthen your business. No matter what type of machine you’re looking for, we have the knowledge and expertise to help you design, specify, install and service just about any type of metal fabrication equipment. 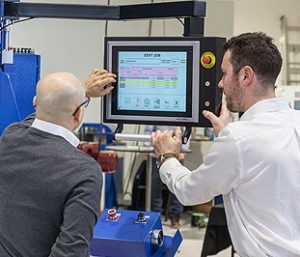 In addition to selling machine tools, robotic systems and other fabrication equipment, we’re committed to education in order to help our customers stay competitive in a global marketplace. Advances in manufacturing technology are happening all the time, and with educational seminars, factory tours, and other events, we help businesses learn the tips and tricks that will keep them a step ahead of the competition. If you’re interested in learning more about Mid Atlantic or any of the brands we sell, please contact us today. We look forward to hearing from you!